The Rosharon area was occupied by cotton and sugar plantations prior to the Civil War. In 1859 the Columbia Tap Railroad completed a line and built a station which became known as Masterson’s Station after the nearest plantation. It was also unofficially called Buttermilk Station because a local resident sometimes treated the train crew to a bucket of buttermilk. Around 1900, George Wetmore Colles purchased property nearby and called his estate the Rose of Sharon Garden Ranch because of the abundance of Cherokee roses that grew in hedges. The town later shortened the ranch name to Rosharon when the post office was established in 1912. The post office opened, closed, reopened, and then closed for good in 1920. Tom Lockridge platted the townsite and moved a cotton gin to Rosharon. The gin’s engine provided enough power to provide limited electricity to the town. The South Texas Water Company built freshwater irrigation canals for rice cultivation in the 1930s. By the late 1980s, Rosharon had an estimated population of 500. The Texas Department of Criminal Justice operates four units nearby. Major industries are ranching and farming. The 2010 Rosharon census was 1,152. Rosharon is located at the intersection of FM 521 and FM 1462, 28 miles slightly southeast of Needville, 7.5 miles east of the Brazos River, 33 miles south of Houston, 23 miles southwest of Pearland, 15.5 miles southwest of Alvin, 15 miles southwest of Manvel, 28 miles east of Needville, 24 miles northeast of West Columbia, 34.8 miles northwest of Surfside Beach, 15.8 miles northwest of Danbury, 15 miles northwest of Liverpool, 33.5 miles north of Freeport, 26 miles north of Clute, 24 miles north of Lake Jackson, and 14 miles north of Angleton, Texas. 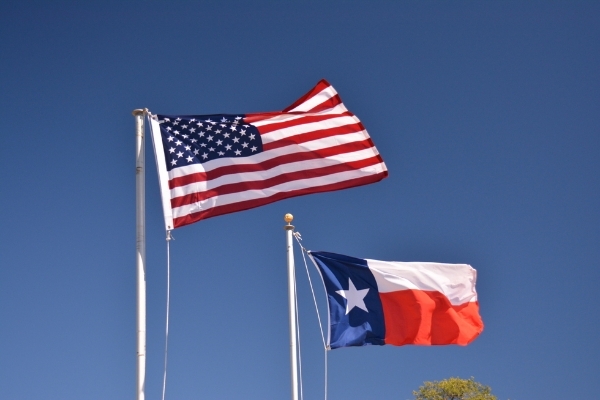 “Established prior to 1845, this county cemetery contains the graves of veterans of the 1836 Texas Revolution, veterans of the Civil War, and members of the Mier Expedition. Colonel B.F. Terry, organizer of Terry’s Texas Rangers, was formerly buried here.” The Texas Historical Marker is located on FM 521, approximately 3 miles north of Rosharon. Big Boggy, Brazoria & San Bernard NWRs Bird Species List, Angleton & Brazoria- The checklist was being revised as of August 2017. Click link for availability. The months of April through October are the worst months for mosquitoes. Mosquitoes love standing water and love you when you eat bananas. Mosquitoes are also attracted to some perfumes, including perfumed shampoos. Rub yourself with Bounce Fabric Softener sheets, or with Vicks Vapor Rub or pure Mexican Vanilla. Some swear taking a daily vitamin B-1 pill works to repel mosquitoes. Planting Marigolds in your yard repels mosquitoes. On a picnic table try covering the bottom of a white plate with “lemon fresh” dish wash soap or use citronella candles. Home Depot sometimes sells the candles in small metal buckets. The ThermaCell Mosquito Repellant is also quite effective in ridding small outdoor areas of mosquitos. Dynatrap Company makes a large standing electric mosquito machine that works like electric bug zappers. It is very successful at making large areas mosquito free. When purchasing mosquito repellent buy those with the ingredient N, N-diethyl-M-toluamide. Some that work include Off! Deep Woods, Off! Family Care Unscented with Aloe Vera, Cutter Unscented, Maggie’s Farm Natural, EcoSmart, All terrain Herbal Armor, Off Clip On, and Johnson & Johnson’s Baby Oil with Aloe Vera and Vitamin E (expensive). The fine net clothing available from Cabela’s and other sporting goods stores is highly effective in preventing mosquito bites. The Brazoria County Mosquito District provides surveillance and education programs. (979) 864-1532. 1380 East Kiber Street, Angleton, Texas 77515. Meetings are held the 4th Monday of every month from September through May; there is no December Meeting. Everyone is welcome to attend. The meetings are held at 7pm at the Museum of Natural Science at the Center for Arts & Sciences, 400 College Boulevard, Clute, Texas. The Arbuckle Reservoir dam is being constructed on the Colorado River near the Texas Gulf Coast, and near Lane City in Wharton County. The new reservoir would capture water that would normally run into Matagorda Bay, and will be filled and refilled multiple times each year. Planned completion date is 2018. When full, the reservoir will be approximately two miles across and a mile wide and will have a circumference of approximately 5 miles. The new reservoir will decrease demand on the release of water from Lakes Buchanan and Travis, two of the Highland Lakes in Central Texas, and will benefit downstream customers, including rice farmers. Downstream farmers have not received water from the Highland Lakes since 2011. Lane City is located at the intersection of SH 60 and FM 442, 8.6 miles southeast of Wharton, Texas. (512) 473-3200. (800) 776-5272. This 15,612-acre Wildlife Management Area is located on the Brazos River within a league of land deeded to Stephen F. Austin by the Mexican government in 1830. The tract was known as Peach Point Plantation. The portion of Peach Point Plantation that contains the Justin Hurst WMA was donated to Austin College by Mrs. Lucy Harvey. The property was later sold to a consortium of six major petro-chemical corporations. Development plans included construction of an offshore pumping station for oil tankers. However, plans were canceled due to the decline in the oil-based economy. The Nature Conservancy eventually acquired the 8,580-acre tract. Between 1985 and 1987, TPWD purchased the land from the Nature Conservancy using funds from waterfowl stamp sales.An additional 1,627 acres were acquired as mitigation from the Brazos River Harbor District. The two WMA units include the Main Unit at Jones Creek and the Bryan Beach Unit located south of Freeport. Habitat consists of upland hardwood, prairie, and freshwater and saltwater marshes. The Live Oak Loop nature trail is ADA compliant. Activities include hunting, fishing, biking, hiking and wildlife viewing. Bring your own drinking water. Portions of the units are open year-round, except during Special Permit hunts and scheduled tours. Unlimited feral hogs and coyotes may be hunted from assigned blinds by those randomly selected during special permits drawings; baiting and ATV or ORV use is permitted. The WMA offers a youth only feral hog hunt and deer hunting by gun. The WMA also offers waterfowl, rail, gallinule, and snipe hunting. An Annual Public Hunting permit is required to gain access during the designated hunting days. Amenities include game cleaning facilities. There are no game storage facilities. The 3,664-acre Wildlife Management Area consists primarily of coastal bottomland hardwood forest which is prone to frequent flooding by the San Bernard River. The WMA offers archery hunting of white-tailed deer and feral hogs by compartment. Baiting and use of ATVs or ORVs is permitted. Hunters may bring portable blinds. Camping and fires are prohibited. There are no restrooms; bring your own drinking water. The hunter check-in station is located 2 miles north of the intersection of CR 316 and FM 2611, or 3 miles south of the intersection of FM 521 and CR 316. The WMA is located 14 miles southwest of Lake Jackson, 5 miles south of Brazoria, and 7 miles southeast of Sweeny, Texas. From CR 316 in Lake Jackson turn left onto SH 332E and drive approximately 10 miles to Brazoria. In Brazoria turn left onto FM 521 (south) and drive approximately five miles to the intersection with CR 316 (Stratton Place Road). Turn left onto CR 316 and continue three miles to the WMA. (979) 798-8746. The WMA offers archery hunting of white-tailed deer and feral hogs by compartment. Baiting and use of ATVs or ORVs is permitted. Hunters may bring portable blinds. Camping and fires are prohibited. There are no restrooms; bring your own drinking water. The hunter check-in station is located 2 miles north of the intersection of CR 316 and FM 2611, or 3 miles south of the intersection of FM 521 and CR 316.For more information, read the Hunting Brochure and the 2017-1018 Hunting Details. The Brazoria, San Bernard and Big Boggy National Wildlife Refuges are part of the Texas Mid-Coast National Wildlife Refuge Complex, a vital coastal wetlands complex which is located at the end point of the Central Flyway for waterfowl in winter, and an entry point for neo-tropical migratory songbirds from Mexico’s Yucatan Peninsula.Located on the Great Texas Coastal Birding Trail, the salt and fresh water marshes, coastal prairies, and bottomland forests provide abundant habitat for fish, birds, alligators and other wildlife. Over 300 species of birds have been recorded in the Complex.The 4,526-acre Big Boggy refuge was established in 1983 with the primary purpose of serving as a salt marsh sanctuary for birds, thus the refuge is only open for public waterfowl hunting season, and for special activities and tours. Volunteer positions are available. Big Boggy’s Dressing Point Island is one of the most important and prominent bird rookeries on the Great Texas Coastal Birding Trail, and like the Brazoria and San Bernard NWR's, Big Boggy’s coastal wetlands attract resident birds, neotropical migratory birds, wintering waterfowl, and resident wildlife. The Big Boggy Refuge is #2 on the Matagorda Birding Loop. It is located between Matagorda and Sargent, Texas. From Brazoria, drive west on FM 521 to Chinquapin Road (CR 262); turn south (left), and drive to Big Boggy NWR. The refuge borders Matagorda Bay. In 1902, Governor Hogg purchased land along Varner Creek from Martin Varner, a member of Stephen F. Austin’s Old Three Hundred colony who had established a sprawling plantation on the Brazos River in 1824. Though the Governor drilled several oil wells on the site, oil was not discovered on his property until 1920, 14 years after his death. In 1958, his daughter Ima Hogg donated 66 acres, including the two story Greek revival plantation house and the kitchen building, to the State of Texas. Guided tours of the 1835 house museum are available Tue-Sun, 9am, 10am, 11am, 12:30pm, 1:30pm, 2:30pm and 3:30pm. Reservations are not required for groups of less than 10 people. For larger groups, reservations must be made 2 weeks in advance. School tours are also available by reservation. The 1920s interpretive barn is open daily for self-guided tours. Come visit during the spring when the bluebonnets and Indian paintbrushes are in full bloom. The park has a 0.5-acre pond. Activities include birding, picnicking, and historical interpretation. Annual events include Juneteenth Reunions, the San Jacinto Festival, and a Christmas Celebration held on the first weekend in December; Christmas tours are held throughout December. This historic site is available for family reunions, weddings and other events. For more park information read the Varner-Hogg Plantation State Historic Site Visitor Guide. Varner-Hogg Plantation is located 2 miles north of West Columbia on FM 2852. Take FM 2852 to Park Road 51 (North 13th Street). This plantation is significant to the antebellum period of Texas and the era of Reconstruction. In 1848, Levi Jordan purchased more than 2,200 acres in Brazoria County. He commissioned the construction of the family home, a brick sugar house, brick slave cabins, a large sugar mill, and other ancillary buildings utilizing slave labor. Site amenities include the two story Greek revival style plantation house and significant archeological remains, including the slave quarters that were subsequently occupied by freedmen until the 1880s. Following the civil war, sharecropping replaced slavery as a labor source, and cotton replaced sugar cane as the cash crop. A small cemetery is located onsite. This historic site closed for renovations in 2008. On the first Saturday of each month from 10am-2pm, THC staff members meet with visitors to discuss the development plans and host tours. Group tours are available by appointment. They also host other special events. Volunteer positions are available. For more information call the Levi Jordan Plantation site staff at (432) 693-6951, and the Texas Historical Commission at (512) 463-7948. The house is located 4 miles southwest of Brazoria on FM 521, just past the intersection of FM 521 and FM 524 (Four Corners). This 2,013-acre park is located on the west end of Galveston Island in the City of Galveston. The Great Storm of 1900 destroyed most of the facilities on Galveston Island, caused almost 10,000 deaths, and precipitated the building of the seawall which helped save parts of the City of Galveston during the latest devastating storm, Hurricane Ike. The September 1998, Hurricane Frances destroyed sand dunes in the park which are the only protection the facilities have from the Gulf of Mexico waters. The dunes are rebuilt annually by creating a foundation out of used Christmas trees. The park was rebuilt after the September 2008 Hurricane Ike. Park activities include camping, picnicking, fishing, swimming (ask park staff about presence of rip tides and jellyfish), hiking, bike riding, kayaking and birding. Park entrance and camping fees apply. For more information read the park brochure, and watch the 2009 park video pre-Hurricane Ike and the park video post-Hurricane Ike. This 10,528-acre National Wildlife Refuge was established to protect the habitat of a remnant population of Atwater’s Prairie Chickens (grouse). Habitat consists of native prairies, croplands, marshes, ponds, Coushatta Creek, woodlots and riparian areas. The Attwater’s Prairie Chicken prefers a habitat of undisturbed tall prairie grass. They can tolerate some agricultural land mixed with prairie, but for every increase in the percentage of agricultural lands in the mix, there is a decrease in the population of the prairie chickens. They do not migrate. They eat a diet of seeds and fruit, but during the summer they will also eat insects and green plants. These birds were once widespread across the oak savanna and tall grass prairies, but due to over hunting and increased farming, they became almost extinct in the 1930s. They now live on small parcels of managed prairie land. The population is estimated to be 459,000. During the spring mating season males gather on the “booming” grounds to perform an elaborate courtship ritual. They inflate their yellow air sacs and emit a strange booming sound across the sea of grasses. Snow does not bother the prairie chickens; they dive into it to keep warm. Their problems begin when spring rains drench their chicks, and when draughts destroy their chick’s food source. Studies have shown that the chickens avoid nesting or rearing their chicks within a quarter mile of power lines, and within a third of a mile of improved roads. They also avoid agricultural land, rural farms, and communication towers. The Houston Zoo runs a captive prairie chicken breeding program which is overseen by the U.S. Fish and Wildlife Service. In 2006, the zoo moved its captive colony from a noisy section of the Houston Zoo to a quieter area at the Johnson Space Center, which resulted in a record production of eggs and chicks in the next full breeding season. These numbers are now increasing annually. Two other protected program sites are the Texas City Prairie Preserve, and a program recently started on private land near Goliad where 30 captive-bred juveniles were released into the wild. From Eagle Lake, take FM 3013 northeast for 6.5 miles. 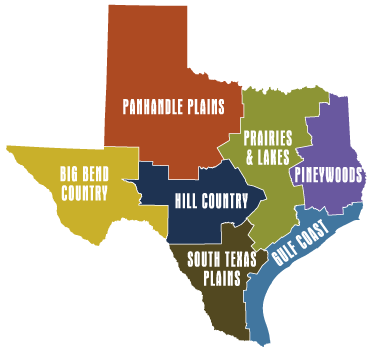 More than 95% of Texas land is privately owned, making it hard for hunters to find affordable hunting opportunities. The Texas Parks and Wildlife has a huge public hunting program and has developed a new service to help hunters find hunting places. This new service is provided free by the TPWD. It allows landowners to list available hunting leases or spots that have opened and allows hunters to find private hunting leases according to their preferences.